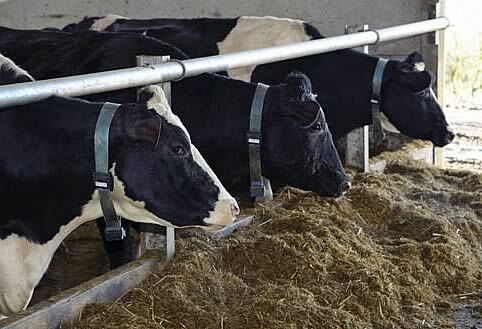 Afimilk, Ltd., a global provider of dairy farm management solutions, announced it has acquired Silent Herdsman, a private VC-funded company from Glasgow, UK and developer of a neck-collar monitoring system used to detect estrus and health problems in dairy cows. Silent Herdsman complements Afimilk’s popular AfiAct II product line with unique functionality and powerful features based on new technology” said Afimilk CEO Yuval Rachmilevitz, whose company makes the leg-mounted cow monitoring system AfiAct II. Estrus detection is serious business in the dairy industry, as cows must be bred regularly in order to keep producing milk. Each additional day a cow remains “open” can cost a dairy producer up to $7 in reduced profitability. Detecting health problems early is also important, as prompt treatment can significantly reduce costs associated with lost production, involuntary culling or cow death. Rachmilevitz said both systems are very accurate and highly scalable, with long-range radio and long-life battery. “The Silent Herdsman neck-collar monitoring system will help Afimilk customers make more money, save time and keep their herds healthy,” he said.